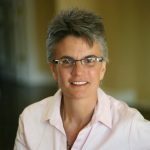 Tamara Dull is Principal Open Source Technologist at AWS Open Source, prior to this, Tamara was Director of Emerging Technologies for SAS Best Practices, a thought leadership team at SAS Institute. Through key industry engagements, provocative articles, and straightforward publications, she delivers a pragmatic perspective on big data, the Internet of Things, open source, privacy, and cybersecurity. Tamara began her high-tech journey long before the internet was born, and has held both technical and management positions for multiple technology vendors and consultancies, including a non-profit. Her latest publication is called “A Non-Geek’s A-to-Z Guide to the Internet of Things.” She is listed in the IoT Institute’s “50 Most Influential Women in IoT,” as well as the “Big Data 2016: Top 100 Influencers and Brands” and “Top 100 Big Data Experts to Follow in 2016” lists. The function of the IoT Community, is to focus on the adoption & application of IoT in commercial environments, seeking to understand & contribute to applying the technology or overcoming the wide variety of barriers, inhibitors, and technical & operational issues. As a member of the board, Tamara will provide impartial input and guidance to the overall vision, strategy and execution that is helping to shape the current and future direction for the IoT Community, as well as the broader IoT industry.